According to data from the Canadian Cancer Society, on average, approximately 1,300 children in Canada are diagnosed with cancer every year. Although this number has remained roughly the same since the mid-1980s, there’s good news within the statistics: the number of children who survive their original diagnosis (i.e. five years or more) has increased significantly over the same time period. The reason for this can largely be attributed to the development of improved diagnostic tools and drug treatments for many childhood cancers. The most recent Canadian data show that the overall survival rate for children aged 0 to 19 is now at 82%, up from 71% in the mid-1980s. The survival rates among all childhood cancers vary according to the type of cancer, the stage at which the child is diagnosed, and even the age group that the child falls under. Survival rates for certain types of cancers have seen very promising improvements in recent years: for example, leukemia and lymphoma have survival rates of 84% and 89% respectively, while the survival rate for retinoblastoma is 96%. 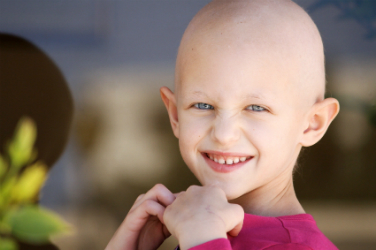 While these statistics give children and their families many reasons to be optimistic, it’s also important to note that a number of children who are successfully treated for cancer will have chronic and sometimes serious effects resulting from their cancer treatment, conditions which may require long-term follow-up by doctors in any number of specialty areas. As more children who have had cancer live into adulthood, we can expect to see an increased emphasis on the role of long-term follow-up care.